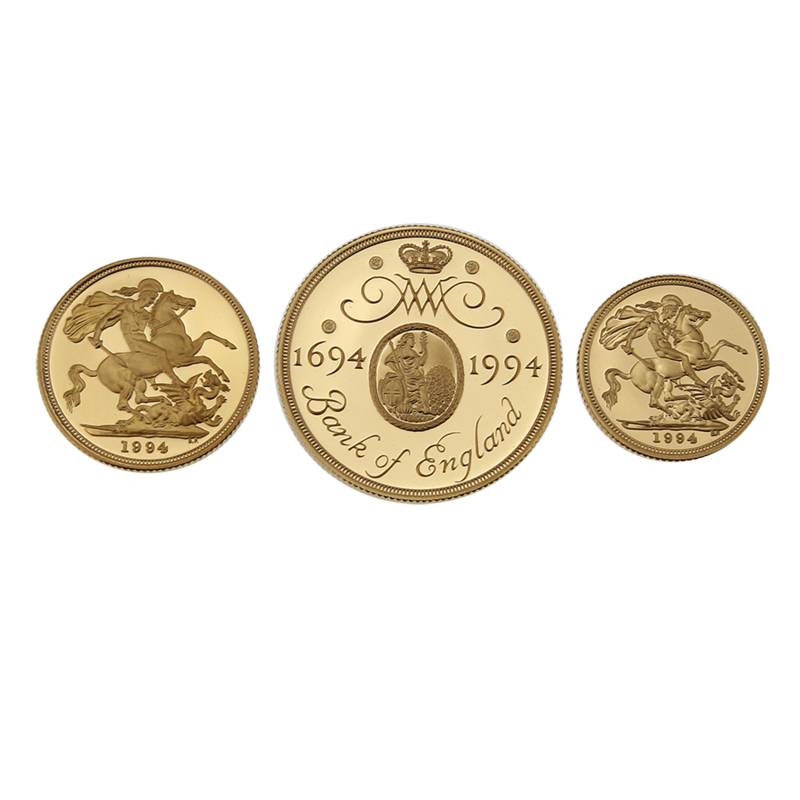 The 1994 UK Proof Sovereign Gold 3 Coin Collection contains a Full Sovereign, a Half Sovereign and a £2 coin, all struck to the finest proof quality. The two sovereigns feature Pistrucci’s George and the Dragon design on the reverse. The £2 coin features a design commemorating the bank of England’s 300th anniversary. 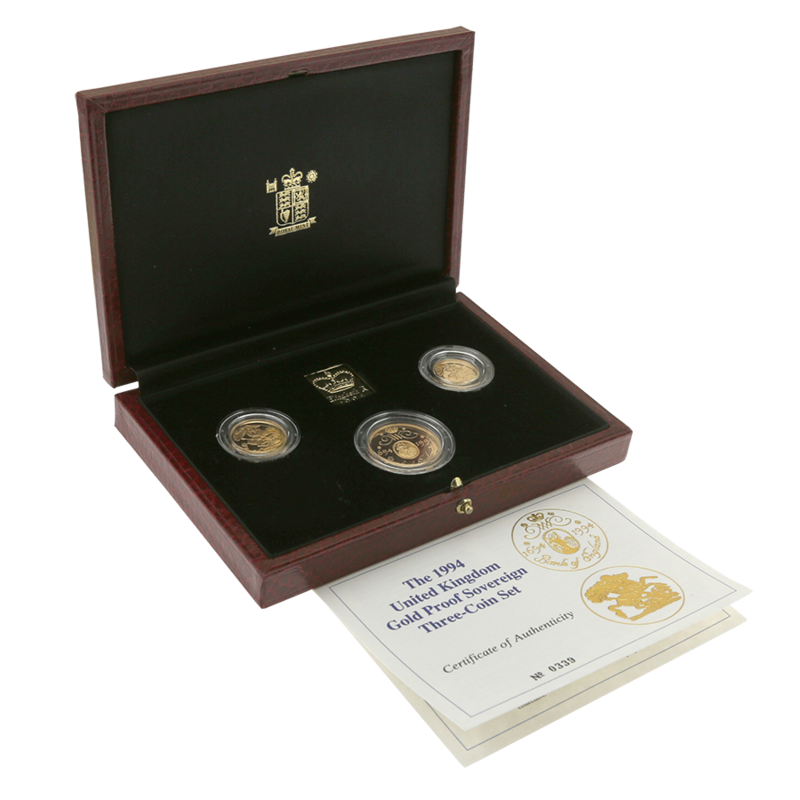 The obverse of all three coins includes a portrait of Queen Elizabeth II. The Half Sovereign weighs 3.99g. The Full Sovereign weighs 7.98g. The Double Sovereign weighs 15.98g. Each coin is made from 916.7 22ct Gold. Supplied in Royal Mint box with certificate. This is a limited edition set of just 1,250. The photographs show the exact item you will receive.